Stephan and Rene experience the greatest loss that was created from their love. Struggling to reconnect with her Master and return to the place where she felt his love, Rene seeks consult in friends Master Peter and Tink, but Stephan cherishes his wife too much to hurt her. Her plans of seduction fail, leaving her lost and more broken than ever. With so much uncertainty in life, Rene wants to return to the time and place that she feels comfortable. Kneeling at her Master’s side, submitting to the man she love, but she is his whole world and will cherish all that she is. After an argument and awakening from a drunken stupor, Stephan seeks guidance in Master Peter and begins to realize that he can have it all in with his wife, but first she must return home. Stunned into disbelief, Rene cannot believe her eyes as she enters her bedroom and finds her husband in full Dom mode. Read HMKV and find out how Rene and Stephan discover balance in their new world. 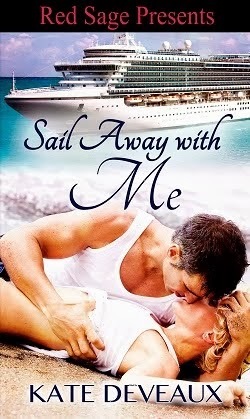 HMKV is a very emotional journey as Rene and Stephan navigate very difficult and uncharted waters to rediscover their love again. Vivian created truly honest and real characters, ones whom I could relate to. As brutal as honesty can be, it is the only way they can survive. I felt sadness, anger, frustration and finally happiness for these characters and I walked along with them in their story.